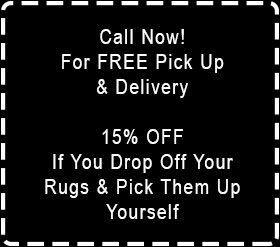 At Magic Rug Cleaners we offer a high quality stain protector. This product is woolsafe and is applied to the surface area of the rug. This protective coat of stain protector works by coating the fibers to protect from spills and also aids in helping to remove excess soil. Liquid spills will also bead at the surface of the rug allowing you time to blot the spill before any liquid penetrates the fibers. Wool has cuticle ‘s that trap soil inside of the fibers, adding stain protector will help keep any soil from becoming embedded in the fibers.